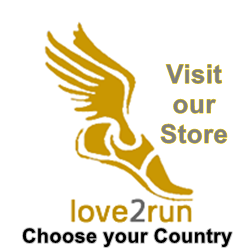 There are a lot of lovers of races and once you try it, you will be looking for places to get registered and to have an opportunity to compete with other participants. The number of people who would like to take part in the annual Run the Farm trail race Sunday, October 25th, 2015 is getting increased and based on the previous races, the organizers are expecting about 800 registrants. Besides, there are not only adults who can participate as there is Run the Farm for kids as well. The event will take place on Sunday, Oct.25. The registration is open and everyone who wants to win can get registered online. The online registration will be closed in mid-October or it can be done much earlier if there are no more vacancies. There are three groups to take part in the competition. The first one will include kids of six years old or under. The distance will make up about 0.6 miles. The second group will run about 1.1 miles and kids of 7-12 years will have a chance to participate. The following group will invite people of 13 years old or older and they will need to cope with the 5-mile challenge. The race will take place in the forest located close to Muscoot Farm with a lot of obstacles to come through. There will be stone walls, meadows and the so-called Godino’s Grind, a hill that will not be easy to conquer. The last stage of the sprint will take place in the farm yard among the sheep, pigs, goats and cows. The race is to start at 8:30 a.m. and adults will race at 9:30 a.m. right after kids races are completed. There will not be any problem with parking and every participant will have a great time to chat and to share all the positive emotions received during the races.